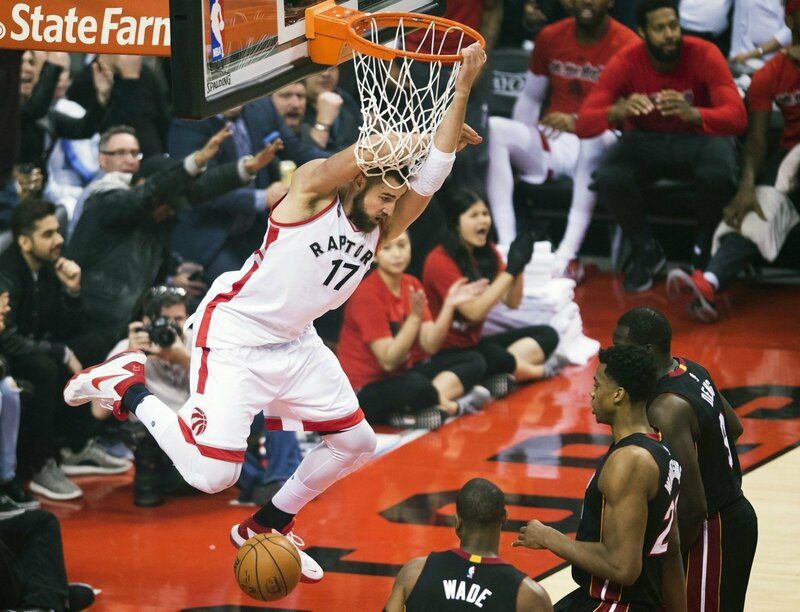 Lithuanian basketballer and Toronto Raptors big man Jonas Valančiūnas stares down three Miami Heat defenders he just blew past to put in a dunk off of a great pass from guard DeMar DeRozan during the NBA playoffs this week. 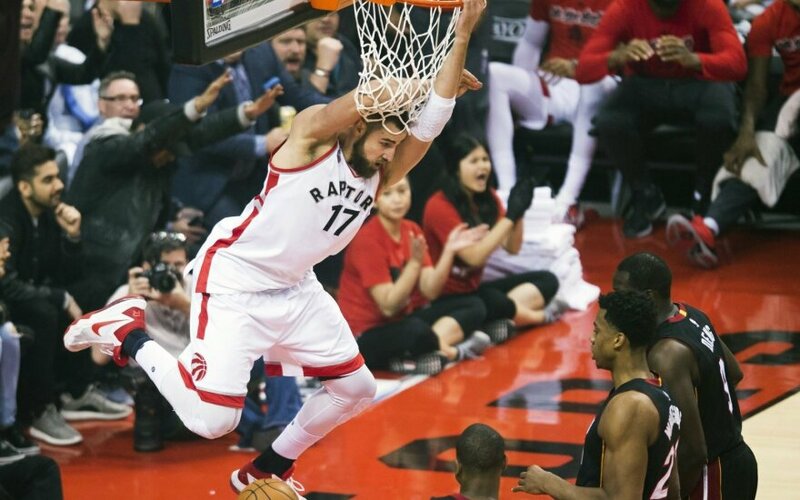 Valančiūnas has been putting up strong performance after strong performance this week against the Miami Heat in the playoffs, and both teammates and opponents have given him much of the credit for the Raptors' successes. “Their [Toronto] most successful strategy was missing shots in Valančiūnas’ direction so that he could either score on tap-ins or find the right guy to pass to in the chaos,” said Patrick Redford at Deadspin. Valančiūnas' birthday is today, May 6th. He turns 24 years old.